Downtown Jerusalem is the heart of the modern metropolis, with nightlife, dining and culture to rival any major city. The area is made up of several neighborhoods, including the colorful Mahane Yehuda Market, charming Nahalat Shiva, bustling Ben Yehuda and Yafo Streets. Each has its own unique personality and atmosphere that you won’t want to miss out on. South Jerusalem is an up-and-coming area that has seen the development of numerous attractions in recent years, including the state-of-the-art Jerusalem Payis Arena, which hosts some of the biggest international musical acts and sporting events. It joins places like Emek Refaim Street, Malha Mall, the Biblical Zoo, Teddy Stadium, Gazelle Valley and Ramat Rachel tourism complex in making up an area that is particularly popular with families. West Jerusalem includes some of Jerusalem’s most charming neighborhoods and interesting attractions. Head to the picturesque Ein Karem at the foot of the Jerusalem Hills for a day of nature, quaint shops and elegant dining with a view. And for an unbeatable cultural experience, check out the Museum District, home to the world-class Israel Museum, the Bible Lands Museum, Science Museum and much more. The Old City of Jerusalem has been a center of culture, religion and history for thousands of years, from the time of the Judean kings and the Roman era through the times of the Islamic Empire to the modern State of Israel. Every brick and stone is teeming with history. 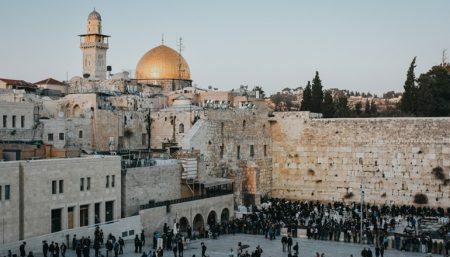 No trip to the Middle East is complete without wandering through alleys of the bazaar, walking the ramparts and exploring the Old City’s rich history at the Western Wall, Church of the Holy Sepulchre, Temple Mount (Al-Aqsa) or Tower of David Museum. Not far from the Old City, you can find some of Jerusalem’s most vibrant entertainment and shopping centers. Mamilla Mall is just a few steps from Jaffa Gate and counts as one of the most luxurious shopping centers in the city, replete with high-end shops, Mamilla Hotel’s Akasha Spa and a collection of restaurants with amazing views. And if you follow Hebron Road, you’ll find the First Station cultural complex and the Yes Planet movie theater and entertainment center. Located in the lush and beautiful Jerusalem Botanical Gardens, this branch of Cafit lets you enjoy the cafe’s rich menu in tranquil surroundings with a lovely view of the lake. This is a lovely restaurant located on one of the best sites in Jerusalem, on the lake at the Jerusalem Botanical Gardens. The food and service are very good for a worthwhile meal as well. This restaurant is located in a beautiful place, how awfully disappointing to find such a poor restaurant experience. Awful service, bad food, disregard for basic requests - an overall feeling that they do you a favor. Don't go near this place - there are such better restaurants just across the street. By submitting this form, you authorize iTravel to contact the relevant tour operator/venue and provide your contact details on your behalf. iTravel will not sell your information to a third party or use it for any other purposes other than services related to your inquiry. iTravelJerusalem.com is your #1 resource for planning the trip of your dreams to our fair city of Jerusalem. On our site, you’ll find city guides and planning tools that will help you find the best hotels, restaurants, attractions, tours and events in the city. Welcome to Jerusalem!